Howie Shareff, founder and director of You Call This Yoga, says everyone can find benefits in a yoga practice. The nonprofit's annual YogaFest is set for March 23. 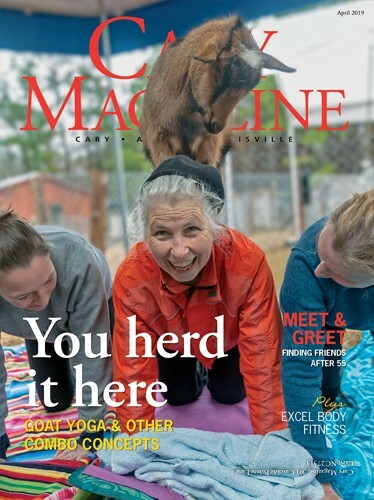 You Call This Yoga is gearing up for its eight annual YogaFest NC, a fundraiser which helps the nonprofit fulfill its mission to help the physically challenged and underserved improve their lives with yoga. This all-day retreat on Saturday, March 23, at NCSU’s McKimmon Center will feature a variety of yoga sessions, a vegan lunch, holistic healing practices and wellness exhibits. Registration is $75 per person. 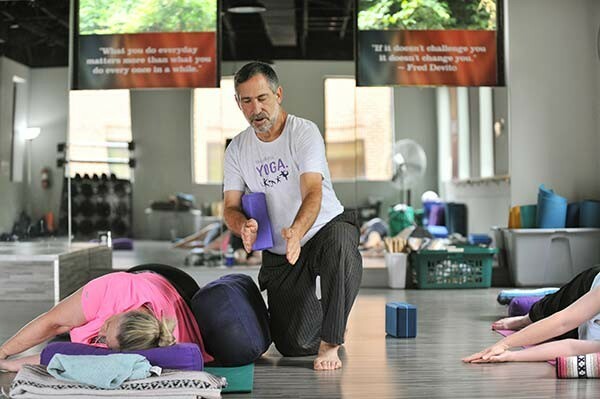 “YogaFest NC offers yoga and wellness classes and seminars for all body types and experience,” said Howie Shareff, founder of You Call This Yoga. The event allows attendees to join a community of yoga practitioners, and to discover products and services from area wellness businesses. The catered plant-based lunch is a healthy and delicious bonus, he says. “Regular yoga practitioners will find excellent local and regional teachers in one location who can offer a deepening or diversification of their practice,” said Shareff. Led by teachers from around the Triangle and North Carolina, session topics at YogaFest include meditation, chair yoga, restorative yoga, gentle, moderate, and active mat classes. Yoga practice can improve strength, balance, range of motion and functional movement, Shareff says, while use of its breathing techniques can improve cognition and focus. For more information or to register for YogaFest, visit youcallthisyoga.org, email howie@youcallthisyoga.org or call (919) 522-2646.